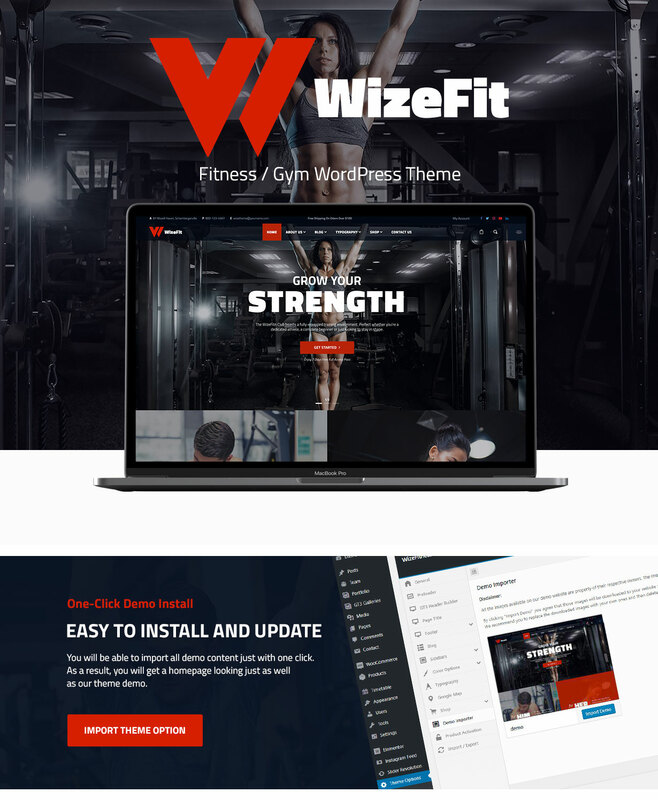 Wizefit is a fresh and modern WordPress theme perfectly suitable for CrossFit centers, fitness clubs, yoga classes, pilates trainers, and other related purposes. 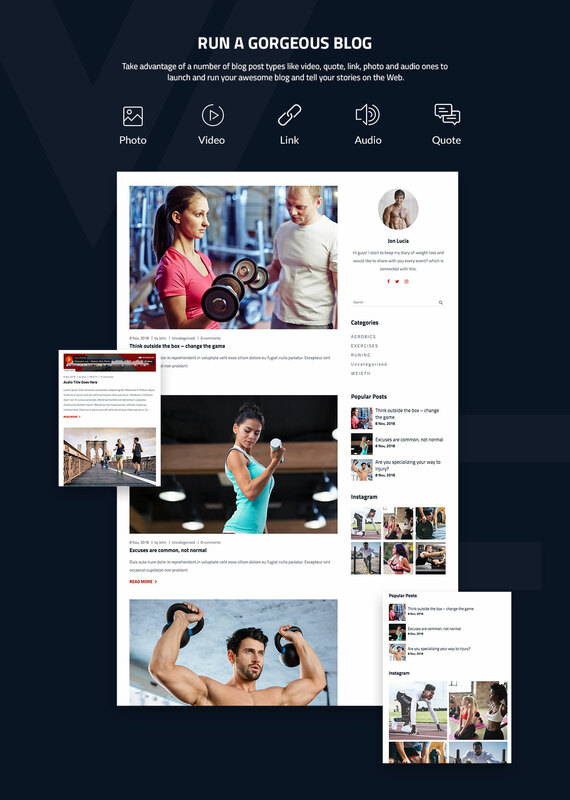 This template is a unique opportunity to promote your fitness and sports-focused business and get as many customers as possible. It comes with comprehensive layouts in the About Us section, so you can be as informative as possible when representing a team of your trainers, sharing your schedule and speaking on your mission. 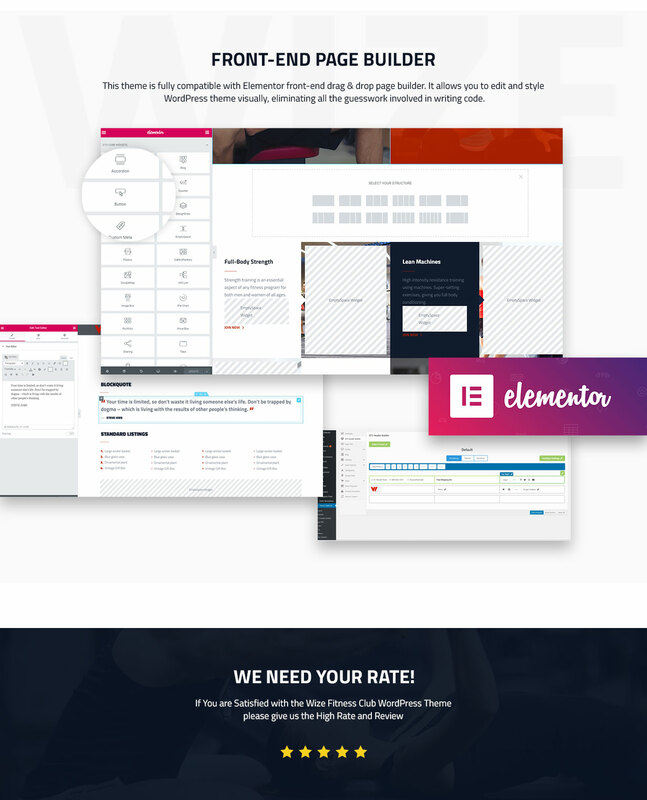 The theme includes advanced typography, a number of pre-defined and professionally designed inners pages, and much more features allowing for the quick and easy website launch. 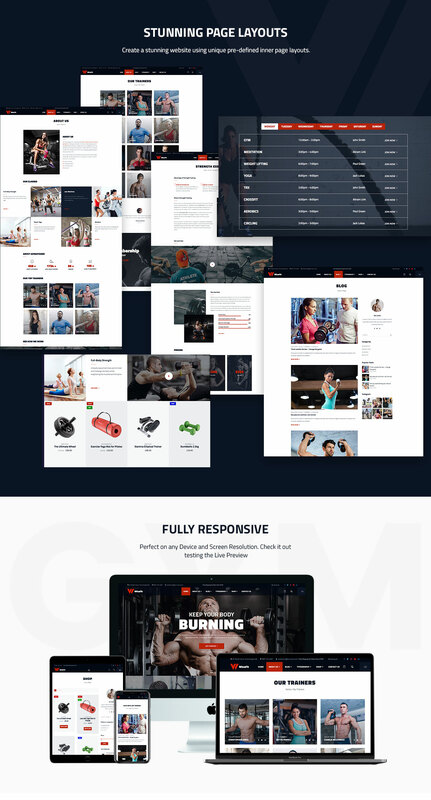 As it is fully compatible with shopping functionality based on WooCommerce and comes with shop page layouts, you can customize and adapt it for selling sports goods or sports nutrition on the Web.